A home improvement firm based in Hampshire and Dorset has gone into liquidation, citing the "current economic climate" as one of the causes of its collapse. 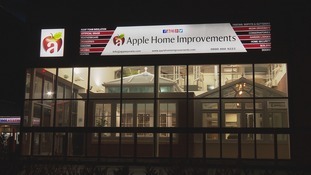 Dozens of jobs could be at risk, less than a week before Christmas, following a statement released by Apple Home Improvements. The company, which has branches on the Isle of Wight and in Hampshire and Dorset, says "a number of exceptional issues" have arisen over the last 18 months. It ceased trading with immediate affect. Apple Panels Ltd are sorry to announce that due to the current economic climate and a number of exceptional issues that have arisen during trading over the last 18 months the director is taking steps to place the Company into Liquidation (Creditors Voluntary Liquidation) and will cease trading with immediate effect. We appreciate that this will unfortunately result in a number of staff, sub-contractors, customers and suppliers being let down at what can be a difficult time of year. Advice for customers who have contracts with the firm has been published on its website. Law firm Quantuma has been appointed to oversee the company's liquidation.